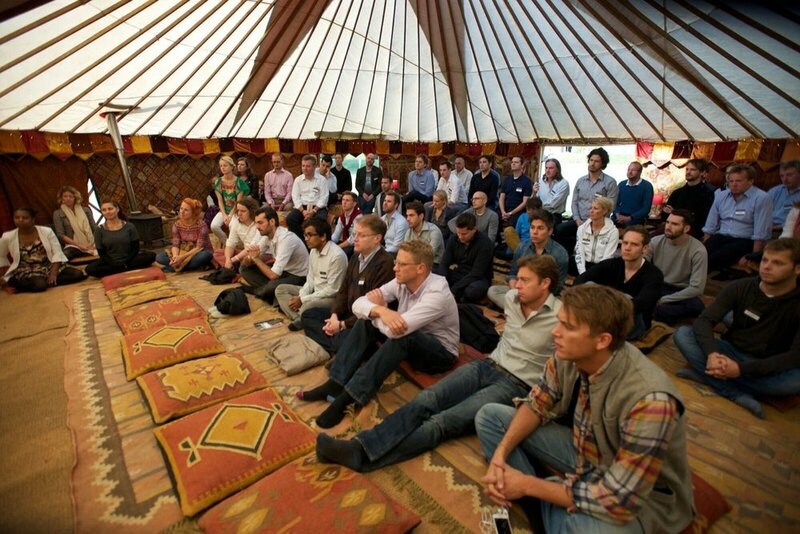 Four years ago, 20 people convened for the first Lifecycle conference. 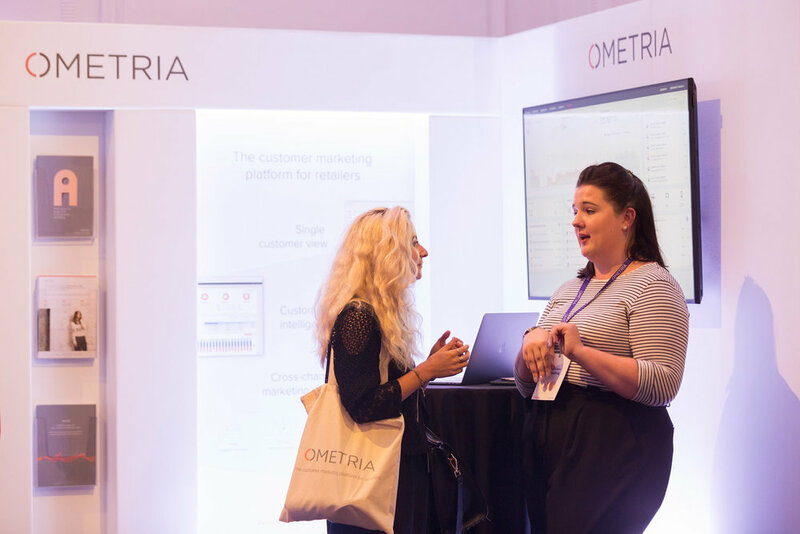 Fast-forward to 2018 and Ometria - the customer marketing platform for retail - wanted support taking their conference to the next level. 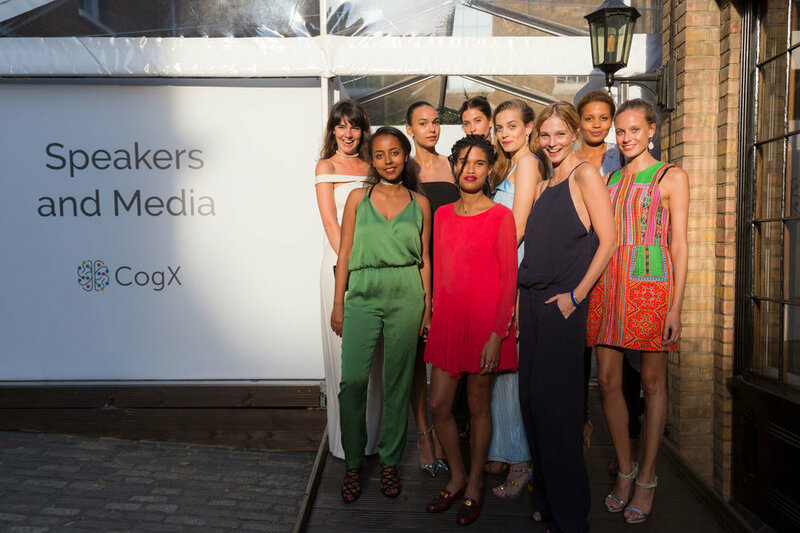 Needing a partner who understood both the commercial and content demands of growing the event for a discerning retail audience, Ometria chose us. With Forgather in the project management driving seat, wrestling with the budget, tackling sponsorship sales/management, building the agenda, and ensuring that all elements of the event planning and production were on track, Ometria could focus on driving ticket sales in the year they switched to a paid-for business model. Over 300 retailers congregated to share, learn, and debate how to better earn the loyalty of their customers. 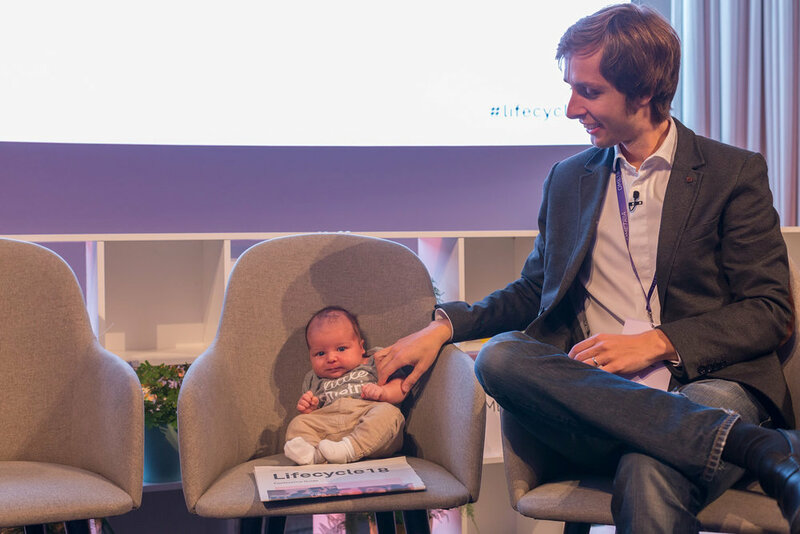 Lifecycle 2018 boasted an industry-leading speaker lineup including eve Sleep, MADE.com and Forrester. 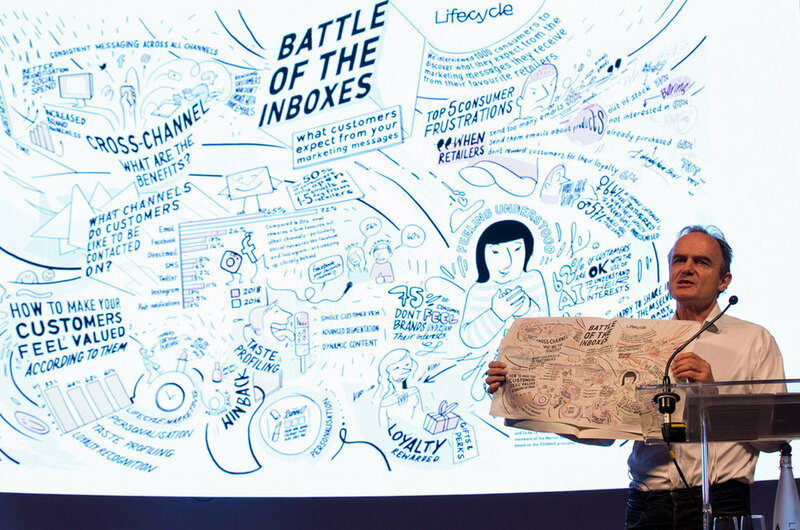 We co-curated a full day of talks, panels, break-out sessions and community discussions shaping content that covered personalisation, the power of storytelling and customer marketing in a post GDPR world and ensured that onsite logistics were silky smooth. Delivering content with actionable insights. 100% of the audience said they learned something new that they could apply to their own roles. Using WATCHOUT multi-display software to bring the event brand to life in synchronized animations throughout the day. 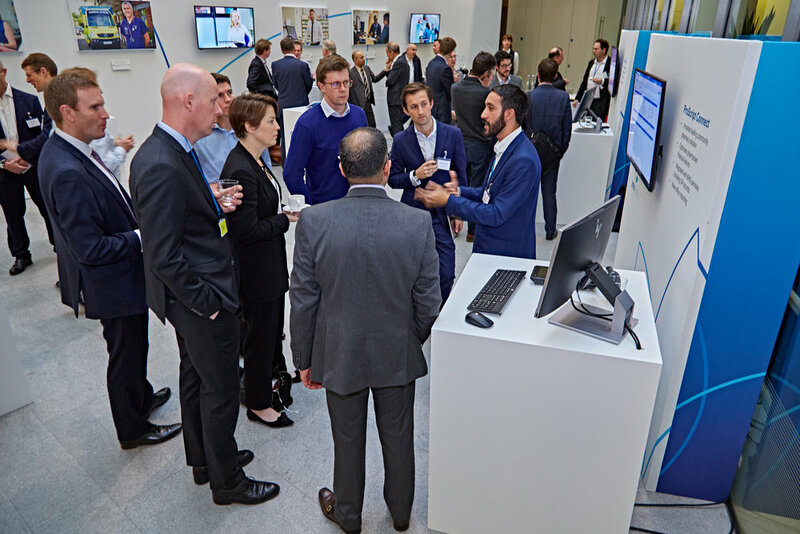 EMIS Group, the UK leader in connected healthcare software and services approached Forgather to design and deliver the most important event in their calendar, Capital Markets Day. The Capital Markets Day is designed to give investors an update on the EMIS Group’s strategy and direction, and to showcase its latest technologies. The objective - to gain investor confidence. 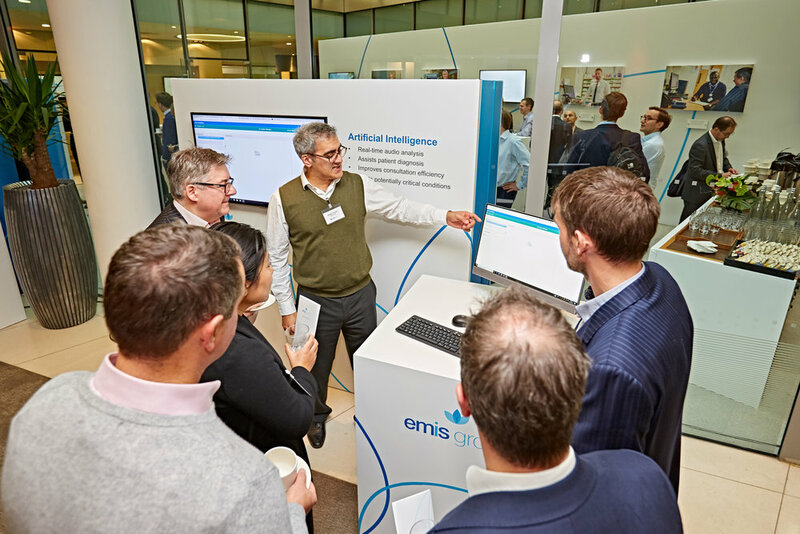 With the London Stock Exchange the chosen venue, we needed a radical plan to convey how EMIS was reinventing the patient journey and showcase the technology driving this change. Forgather transformed the LSE with a clean and contemporary fit-out. We custom built a gallery wall to present medical case studies, designed six demonstration pods and installed a massive LED video wall for films and PPT, opening out the event space into one interlinked environment. 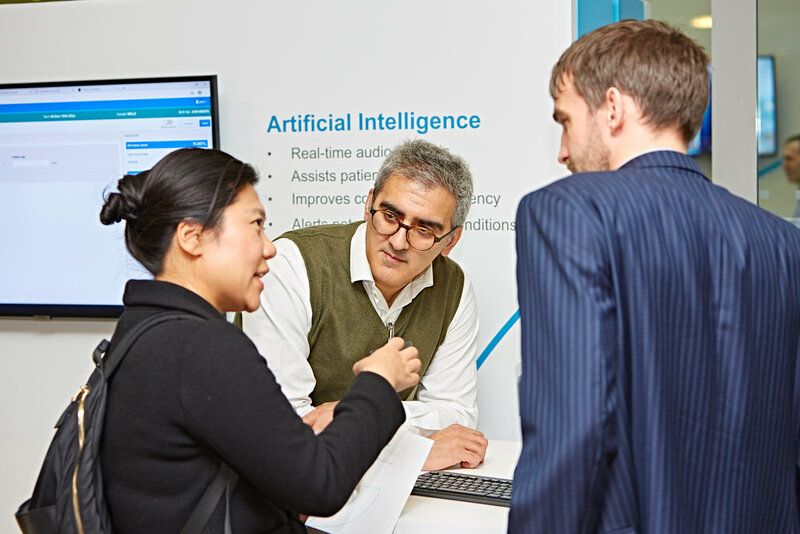 Investors heard from EMIS on their technology roadmap and viewed technology demonstrations to learn about advances in patient access, data analytics, AI assisted consultations and federated searches. Transforming the staid London Stock Exchange into a welcoming 3D immersive environment with a refreshed EMIS brand. Navigating a complicated build schedule and troubleshooting along the way– silent drilling, ensuring we didn’t blow the power and delivering on time. Fulfilling the tech dreams of EMIS’s CTO with a 7m video wall complete with a complex technical set up. Seeing investors cluster three-deep for demos and stay far longer than expected to complete the full circuit of demos powered by passionate medical professionals. 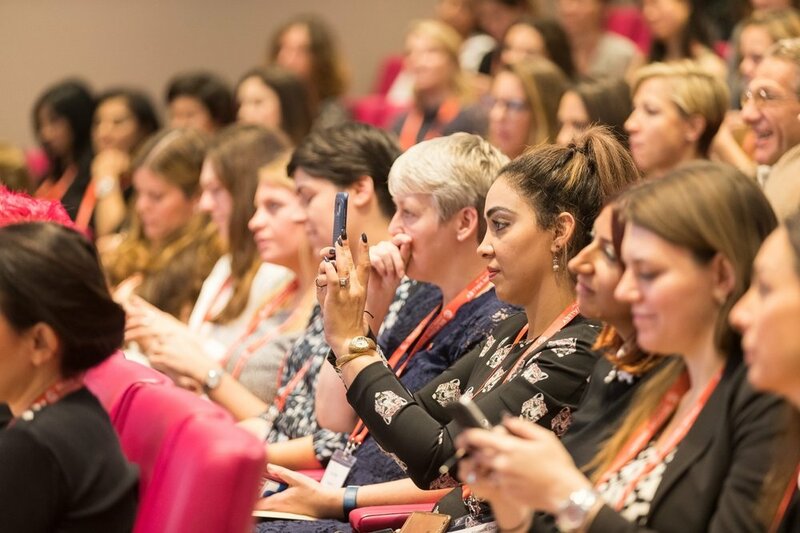 We partnered with SVC2UK to run the Good Growth Summit, which was an invitation-only event designed to connect and inspire women founders and business leaders from the US and UK. 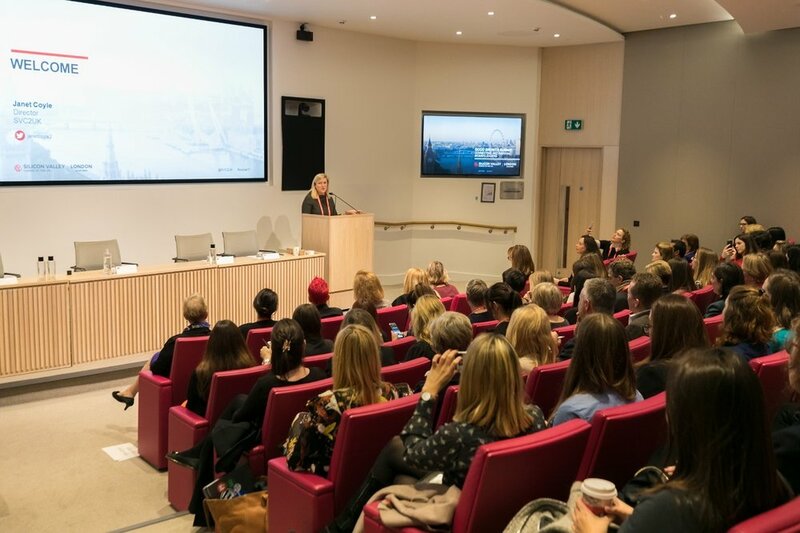 Over the course of an action-packed morning, we aimed to provide inspiration and guidance in equal measure, for women scaling their businesses. The event blended a combination of keynote speakers – including Google.org’s Jacquelline Fuller and the Malala Fund’s Shiza Shahid – with carefully choreographed roundtable sessions to provide both top level inspiration and real, practical help. Roundtable topics ranged from accessing funding to effective boards, allowing for a deep dive into the issues in an intimate group. 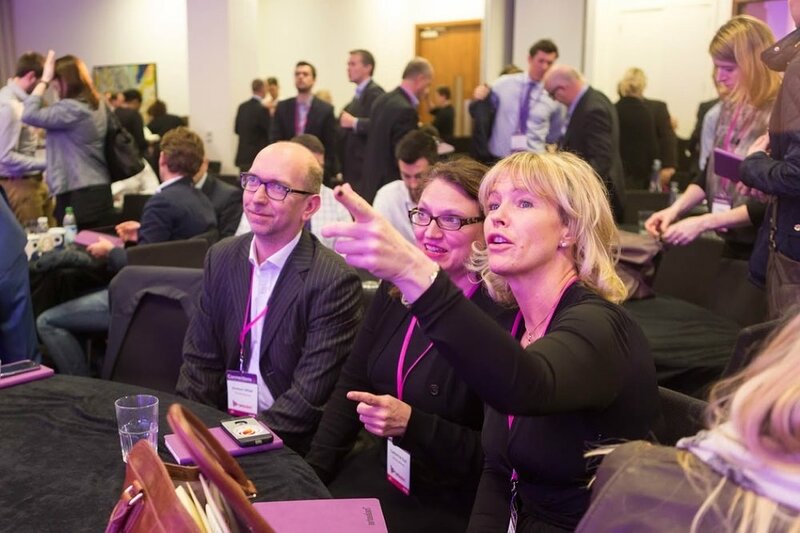 We’ve supported and worked with SVC2UK since 2012 in various incarnations from managing the entire London series of events to providing content and event management support at CEO Summits. Partnering on The Good Growth Summit was a cause dear to our hearts and we loved massaging it into life. 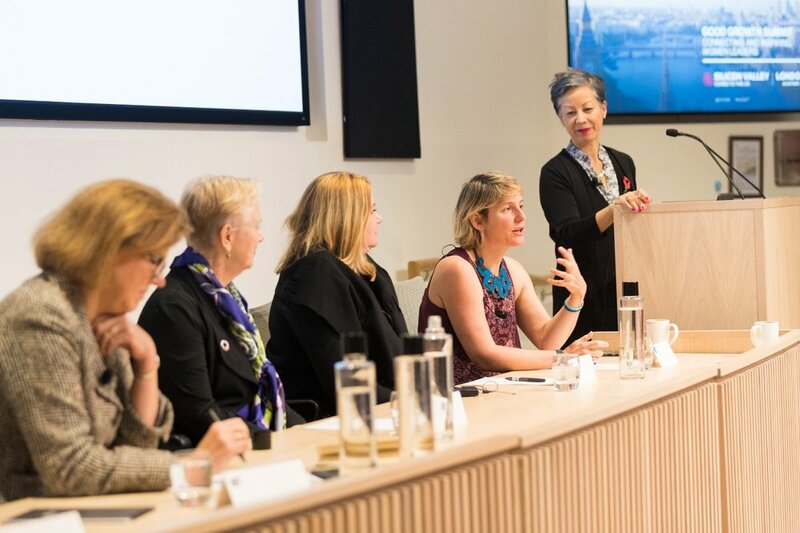 Bringing the ecosystem of organisations supporting female founders together – demonstrating the power of the London network. Creating the Moments of Truth session. We challenged a panel of leading entrepreneurs to share make or break moments that really tested them – you could hear a pin drop. The hashtag #SVC2UK17 was trending globally on Twitter throughout the morning. Who do you call when you have a vision to create a ground-breaking AI conference and you only have three months to do it? Forgather stepped in to help CognitionX, a market intelligence platform for all things AI, bring together global thought leaders to debate the impact of AI on industry, government and society. 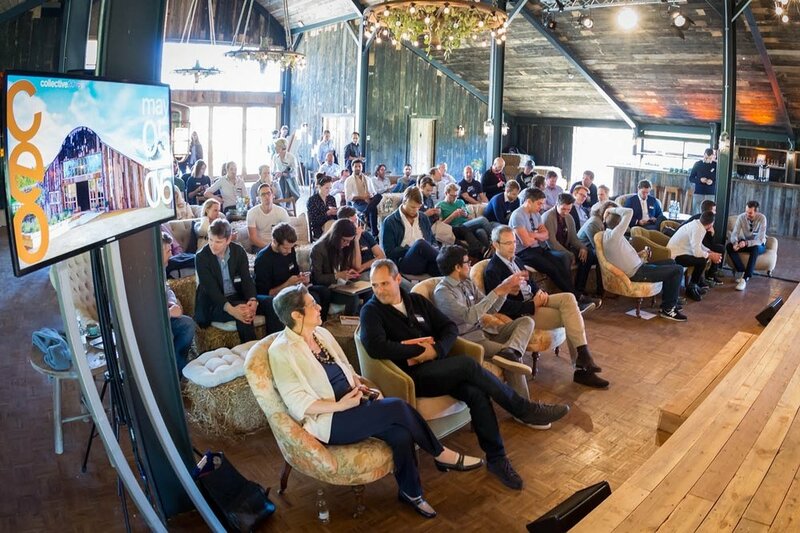 CogX was a two-day innovation exchange featuring three streams, 18 sessions, 44 exhibitors, 100+ speakers and an awards dinner to celebrate the most innovative contributors to AI, including DeepMind, UiPath and Tesla. Speakers included the likes of MC Srivas, Chief Data Architect for Uber, Lord Young, Former Employment Secretary, Matt Hancock, the Minister for Digital and Kathryn Parsons, Founder & CEO of Decoded. We even had contributions from a robot – Hanson Robotics’ Sophia joined us on stage to discuss the future of AI. Partnering with the CognitionX founders, we provided a full outsourced event management solution that stretched from managing the budget to advising on sponsorship contracts, developing the event brand across all onsite materials and AV production, to planning a memorable pre-event dinner at the Cheesegrater. 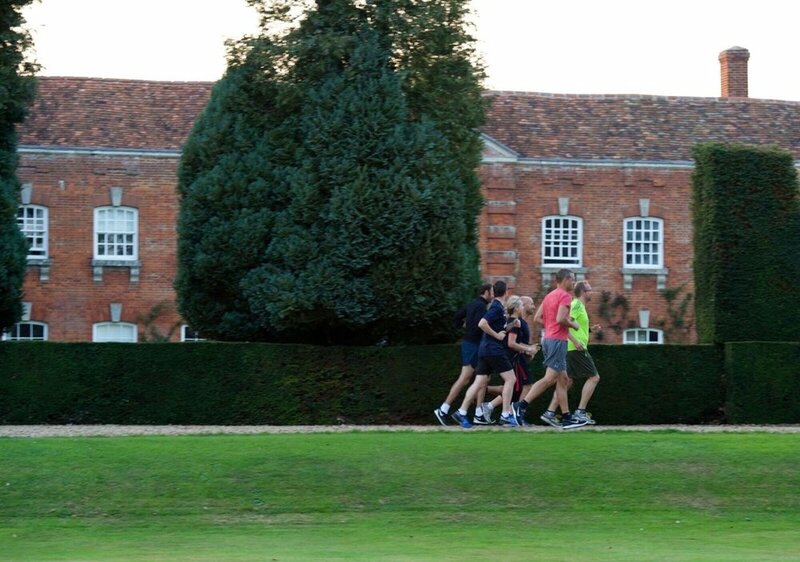 On the day, we scaled to a team of 60 people, whom we recruited, briefed and managed. Pulling off an ambitious conference in record time. From a standing start, in just three months we collectively achieved over 1200 conference attendees, 250 awards dinner guests and 44 exhibitors. 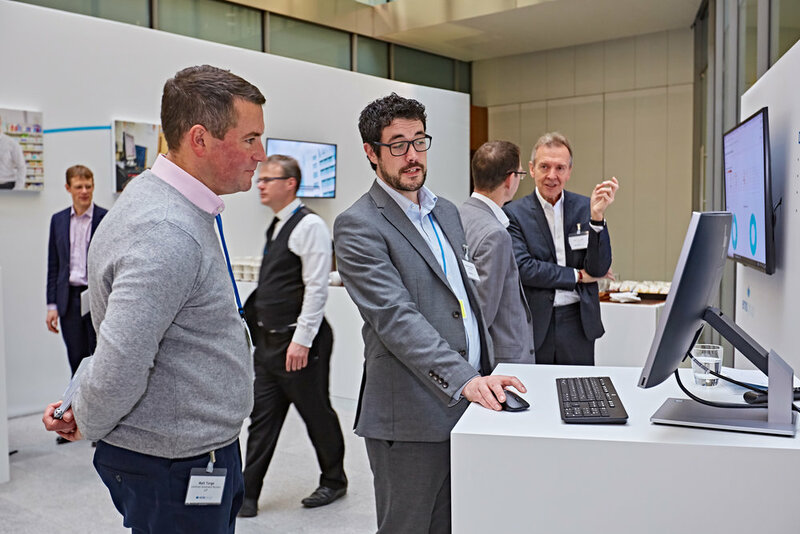 Designing a buzzing expo area complete with 36 cutting edge AI companies in our startup alley and 8 market leading vendors including Accenture Analytics, IBM and The Alan Turing Institute – all of whom we managed from contract to delivery. Finishing touches included a gold mirror bar serving up quality barista coffee and a 2m LED neon CognitionX digi brain. 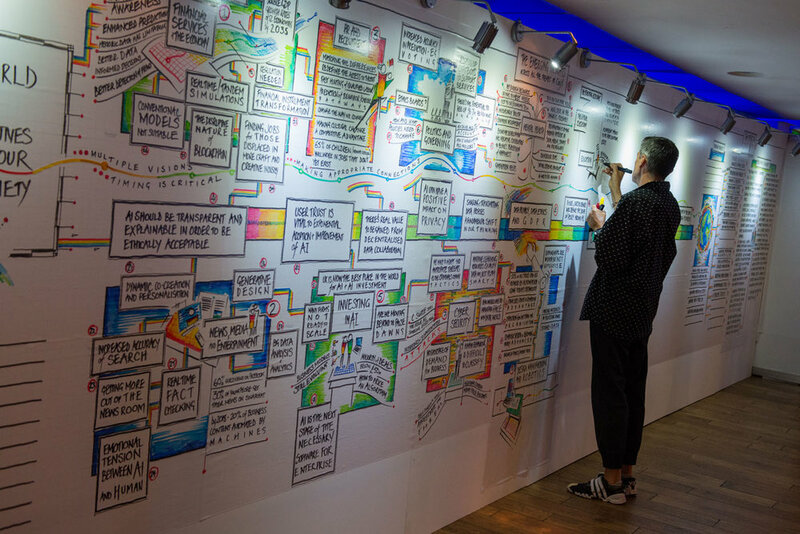 Bringing to life the key insights from the sessions with a live graphic wall – a hand drawn visual representation of the current state of AI. An army of Insights Volunteers provided session highlights to our resident artist John Caswell, who delivered a pictorial executive briefing summary, which would later inform and inspire 18 post-event insight reports. “With just 3 months to go before our event we knew we needed an event production partner who could match our passion and ambition. 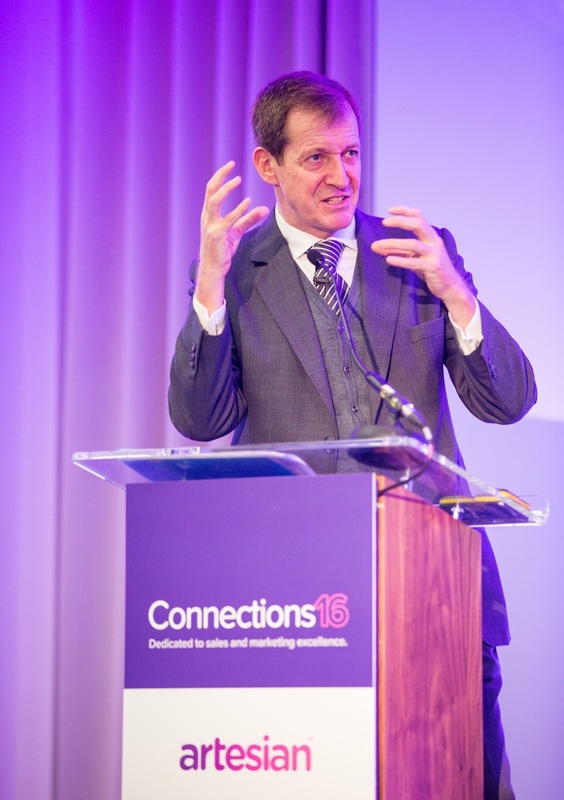 Whilst we concentrated on the content and sales, Forgather provided all the key event delivery services - managing the planning, budgeting, graphics, onsite production, AV, live streaming and staffing of the conference, exhibition and awards evening. 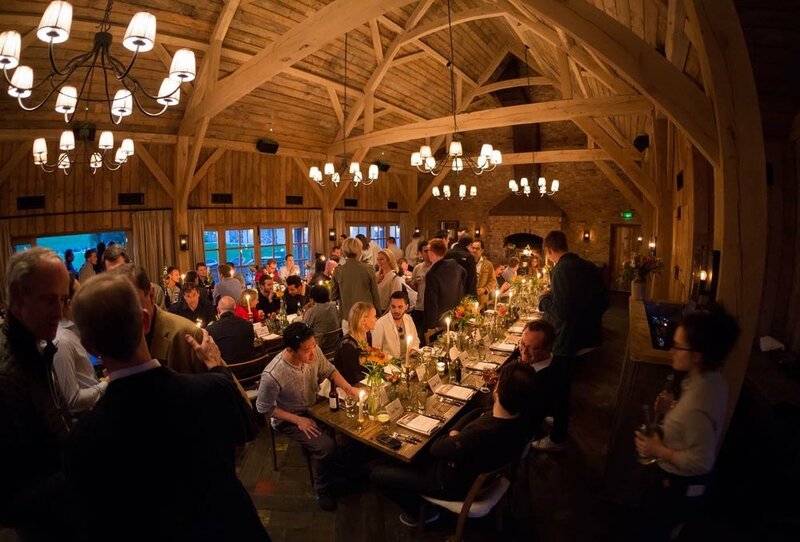 It was the first event we’d produced of this scale, and with limited in-house resource we needed a partner who was not only an expert in event planning but a mind reader, tech specialist and experienced sounding board. 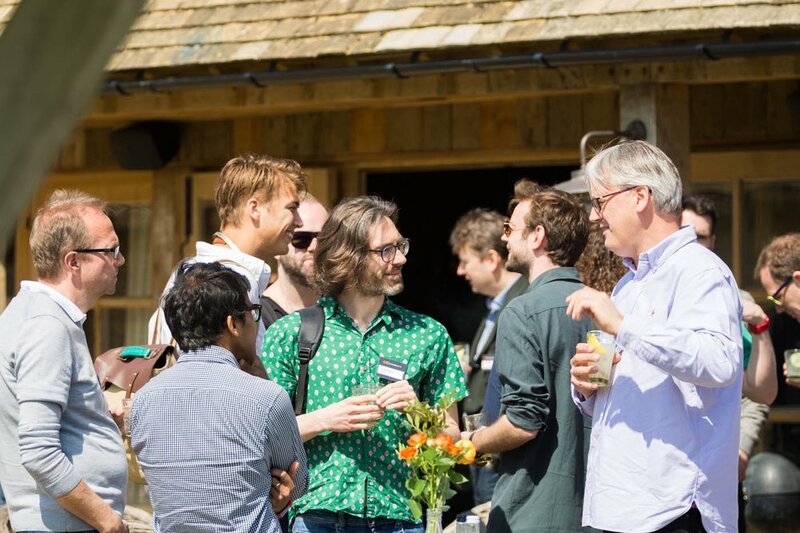 Forgather stood with us shoulder to shoulder and it was a pleasure working with them on CogX”. Founders4Schools (F4S) builds smart connections between schools and the world of work. 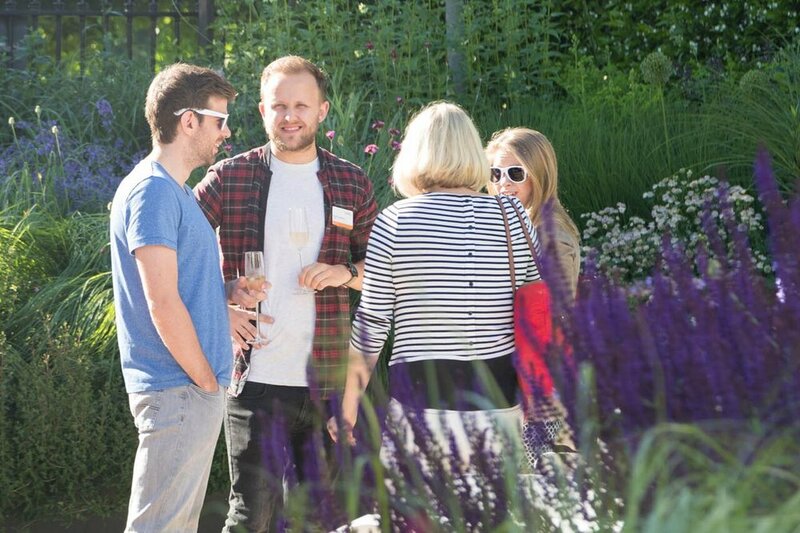 They’re on a mission to tackle the skills gap amongst the UK’s young people, by facilitating meaningful connections between students and startups, scaleups and big businesses. Having supported F4S with many of their London gigs (award dos and inspirational events for students), we were ready for the challenge when they set their sights on cracking Newcastle and the Northeast. 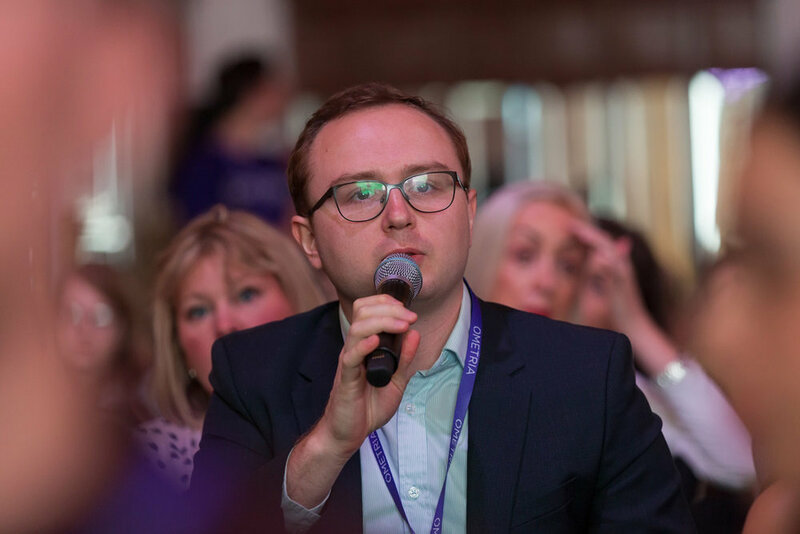 From a standing start 5 weeks out, to deliver an event which depended on high teacher attendance on a school night close to the end of term…this was one of our toughest asks ever. Undeterred, we hit the phones and squeezed all we could out of our networks, to deliver an audience of 120 educators, leaders and influencers from schools and universities, government and business including Virgin Money, Code Club, Tech North and Sage. 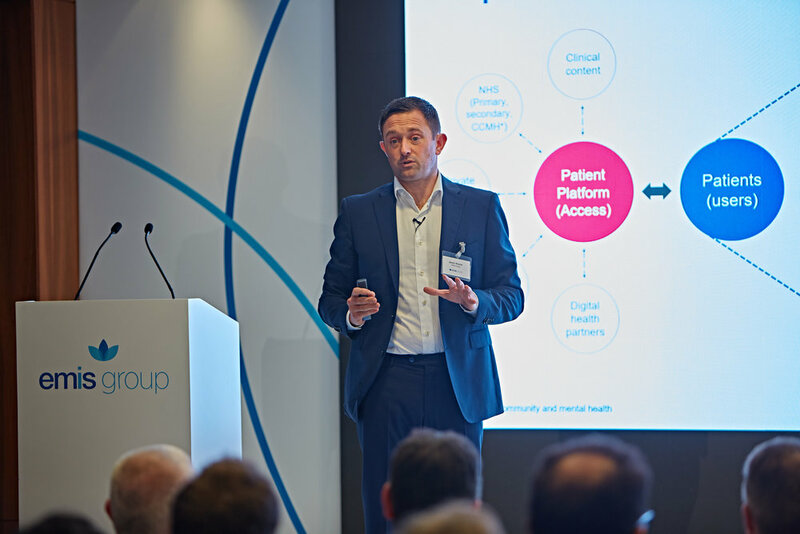 We also managed the event production – from flowers and furniture to the slideware – leaving F4S free to focus on delivering their rallying cry for support from educators and business leaders. Galvanising partnerships with Young Enterprise and Tech North to support the event by bringing their educator networks. Achieving a strong showing from schools, delivered through a persistent contact strategy with multiple contacts from school secretaries to heads. Achieving tangible results - in under a year there was an incredible 992% increase in the number of students who met business leaders in the NE community and in Newcastle itself, which has seen a 513% increase in Student Employer Encounters per 1000 students. Delivering a stylish event on a budget, in a lofty arts venue described by Melvyn Bragg as “the very crucible of the Industrial Revolution”, complete with gorgeous lighting and high end production thanks to in-kind sponsorship from the Boiler Shop and the Clouston Group. Originally founded in New York, global location data management leader Yext launched in London in 2016, and needed to make their mark on the UK retail and tech scene. We partnered with Yext to create a series of events that would help raise brand awareness and drive new business. The first event The Art of Location, marked the official arrival of Yext in London, and took place at the Viewing Terrace, on the 10th Floor of the Switch House, the brand new development at the Tate Modern. Challenging guests' perception of location and the nature of trespass with stellar speaker and urban explorer Dr. Bradley Garrett. Bringing the content and location to life by using AR app Skignz to place digital signs over landmarks seen from the Viewing Terrace. 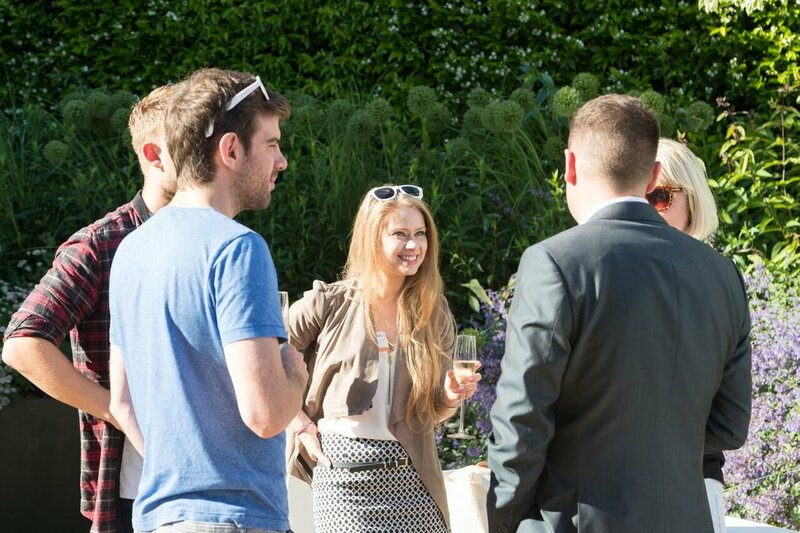 “The Art of Location was a key event for Yext, as we celebrated our official launch in the UK. 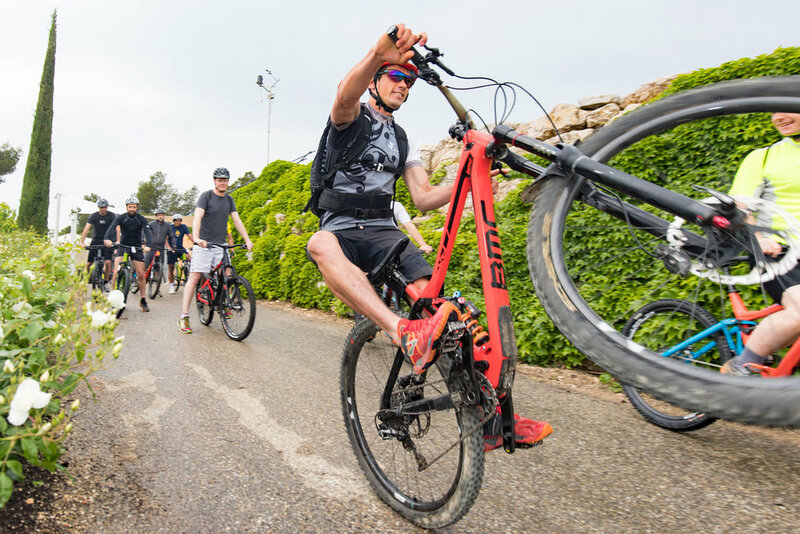 With our marketing team based in the US, we needed a trusted event partner to be an extension of our team and manage things on the ground seamlessly. Forgather are creative, versatile, brimming with great ideas and always a pleasure to work with. 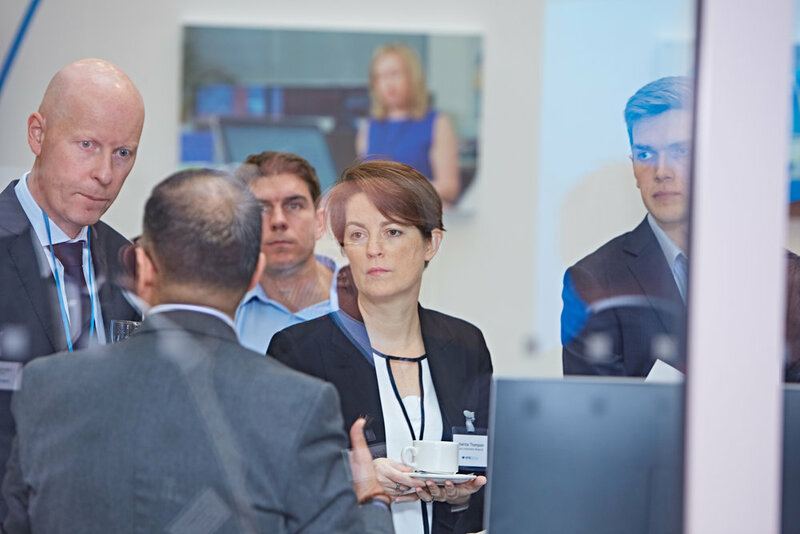 Like everything we’ve collaborated on, the event was faultlessly executed, and we were thrilled to achieve a great turnout and tremendous feedback from both attendees and senior leadership”. In January 2017 we were thrilled to ratchet Microsoft Accelerator London’s cohort demo day up a notch. 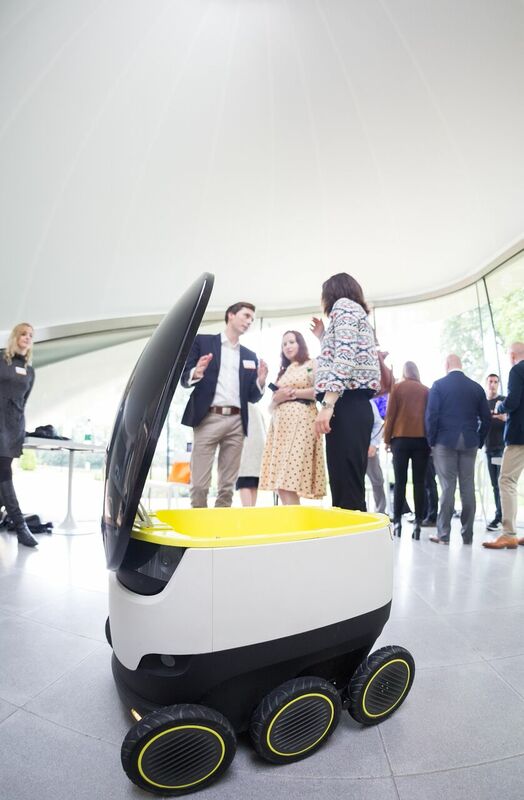 The Gallery of the Future was an immersive showcase aimed at London’s tech elite and innovation seekers, designed to provide insights on the technologies shaping our future and the way we do business. 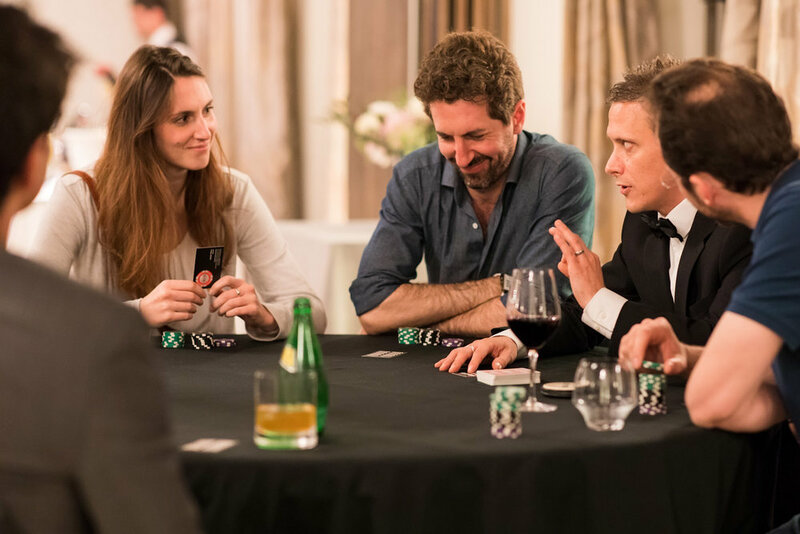 Spanning 22,000 feet in the heart of the West End, Bloomsbury Square’s Victoria House basement was our venue. 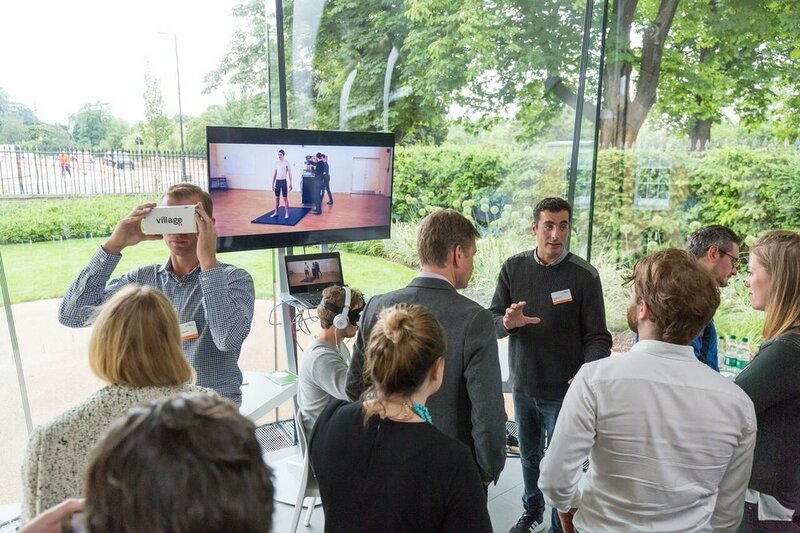 After eight quick fire pitches from the Accelerator cohort and two lightning TED-style tech talks from a leading academic and senior evangelist from Microsoft’s Lift London, our guests were able to sample the latest in mixed reality technology from HoloLens. The conversation continued in our cohort lounge over food, drinks and music courtesy of DJ Anna. Transforming a cavernous white space into a stylish gallery-style installation, complete with large format graphics, and two custom-built HoloLens experience rooms. The transformation was so seamlessly achieved, some members of the audience thought it a permanent Microsoft home. 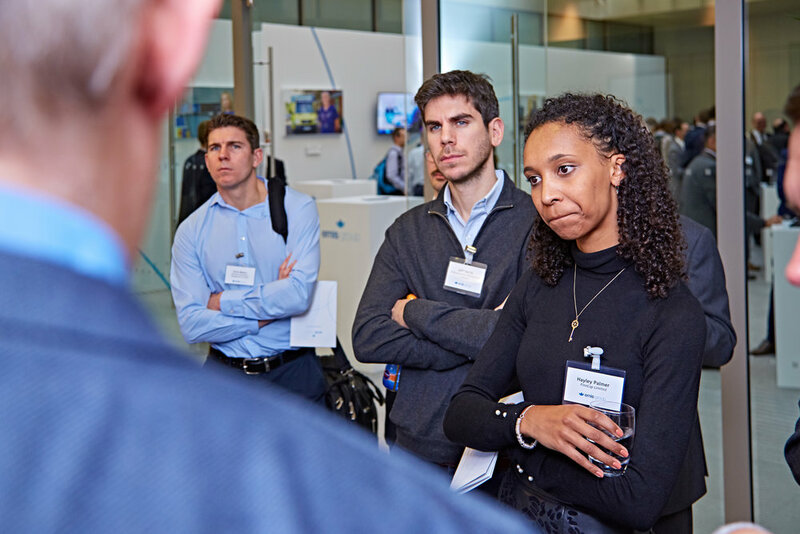 Helping forge deeper connections between Microsoft Accelerator and Microsoft’s corporate customer base and playing a significant part in shifting perceptions to a new Microsoft as a platform for business innovation. "The Gallery of the Future was born out of a desire to challenge the startup demo day status quo. Forgather came up with the concept and pulled off an ambitious event that got the London Accelerator talked about by the rest of Microsoft and Microsoft’s customer base. Once again my faith and trust in Forgather has been exceeded. Once again, no glitches and no screw ups which is why we choose to exclusively work with Forgather for all of our events. I look forward to working together again to raise the bar". 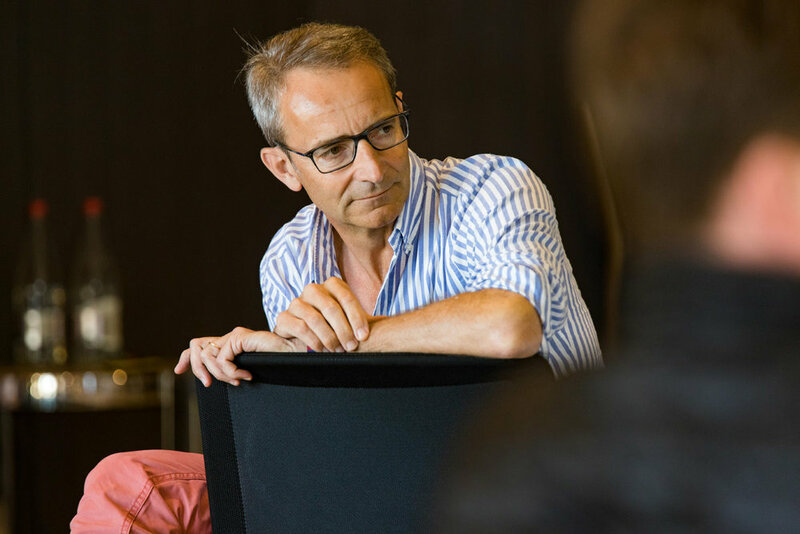 Balderton Capital, one of the largest venture capital firms in Europe, wanted an event to help them forge stronger relationships with their CEOs, encourage peer to peer learning, and share the latest news on the firm. 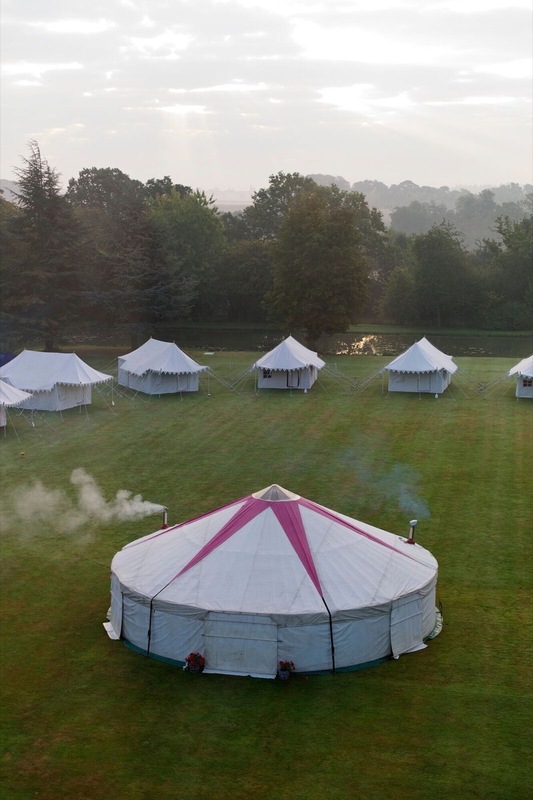 We were appointed to co-create and manage their inaugural retreat in September 2014, and have been their partner in designing and delivering this bi-annual event ever since. Achieving a net promoter score of +95 when surveying guests on the 2018 event, with 98% of people rating it ‘excellent’. 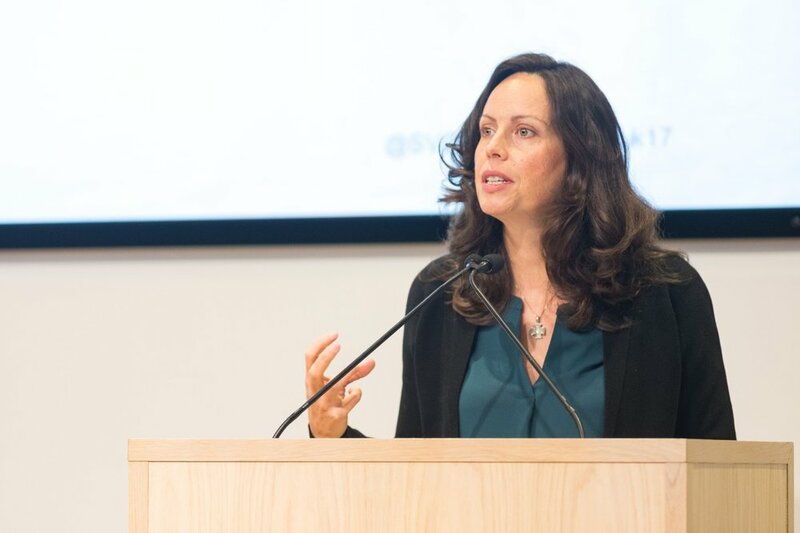 Delivering a fascinating speaker line-up including trailblazing neuroscientist Moran Cerf, and cultural expert Erin Meyer, who decoded how cultural differences impact international business. Acclaimed by the CEOs as the most relevant speaker. 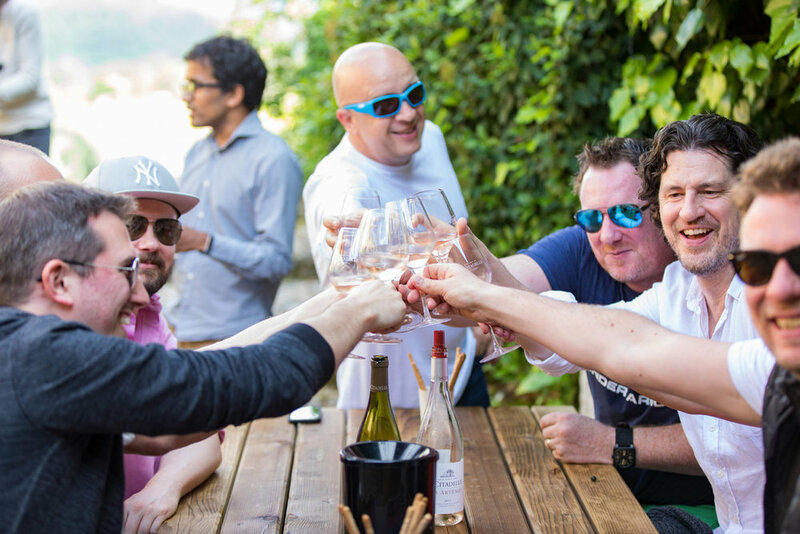 Tackling entrepreneur burnout by offering yoga, wild running across the vineyard and frank story sharing sessions. 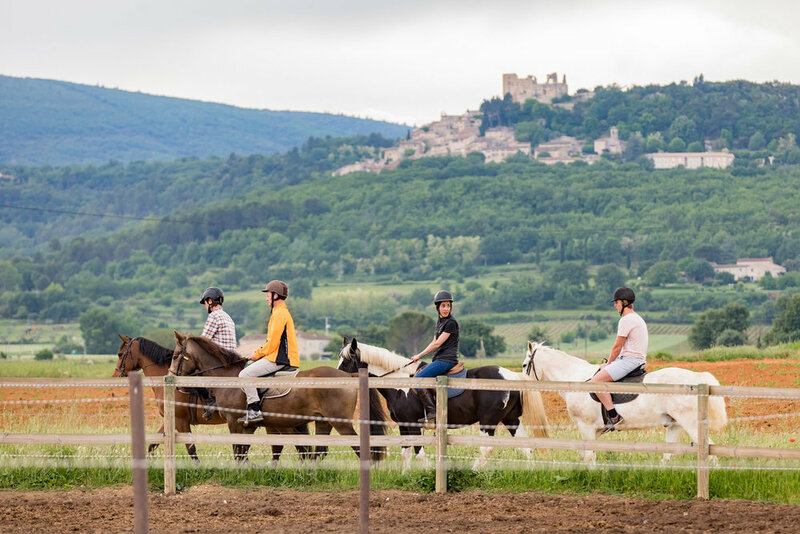 Hosting the event outside the UK for the first time in 2018 at La Coquillade in the Luberon region and forging life-long bonds over wine tasting, pétanque and our own ‘Tour de France’ road biking. 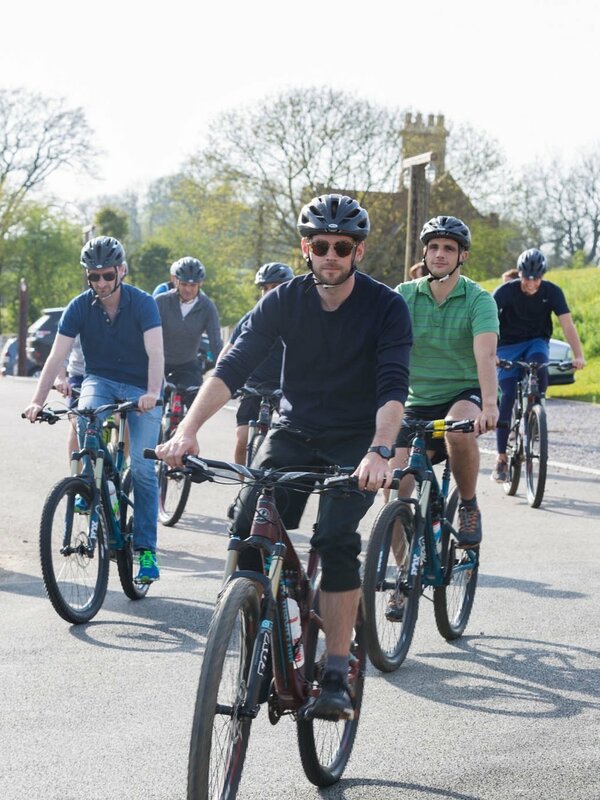 “Outsourcing Balderton’s CEO Collective retreat to Belinda and Forgather meant we had a trusted partner to design and manage this important bi-annual event. 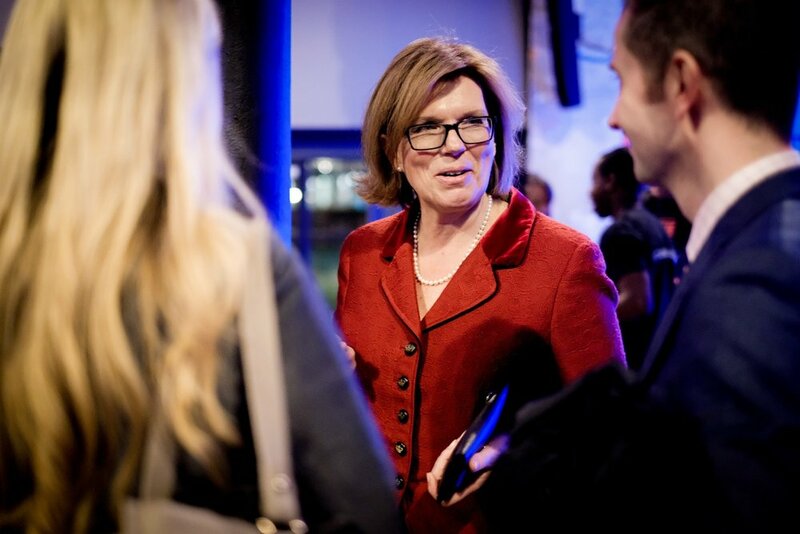 It’s a discerning audience (both internally and externally) and Belinda shaped the event communications, developed the agenda with us and picked a venue that everyone loved. 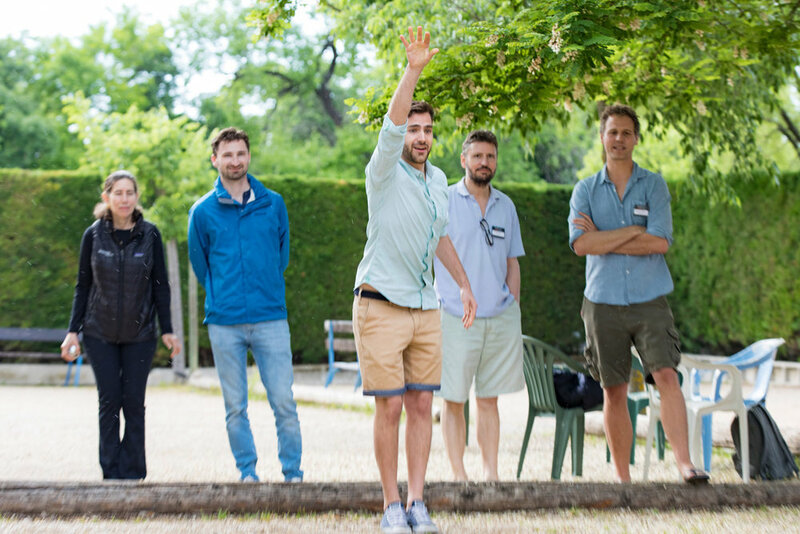 With Forgather sweating the details that made a difference to the experience, we could concentrate on the event’s participants – the CEOs/founders in our portfolio companies. I look forward to working together on the next big thing”. 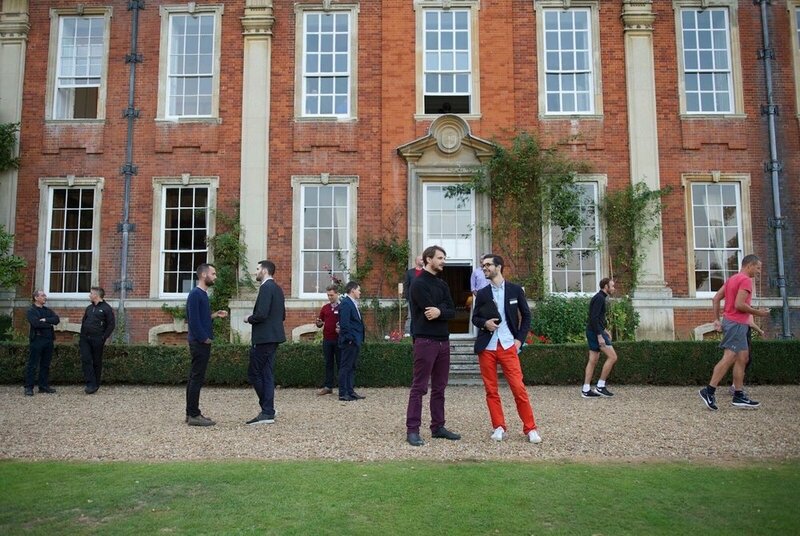 There were lots of serendipitous chats with other CEOs and partners, resulting in actionable next steps. I’m leaving with a bunch of things I want to follow up on. Chris Morton, Co-Founder & CEO, Lyst. Location and timing were both excellent, compact enough to be highly energetic throughout, expansive enough to refresh and think anew. Ed Cooke, Co-Founder & CEO, Memrise. It’s amazing feeling that we are a family of great entrepreneurs all looking to help each other if needed. And that’s powerful. For us, scaling is key. To have so many people with actual helpful advice in one place - priceless! Andreas Liffgarden, Co-Founder, Soundtrack Your Brand. 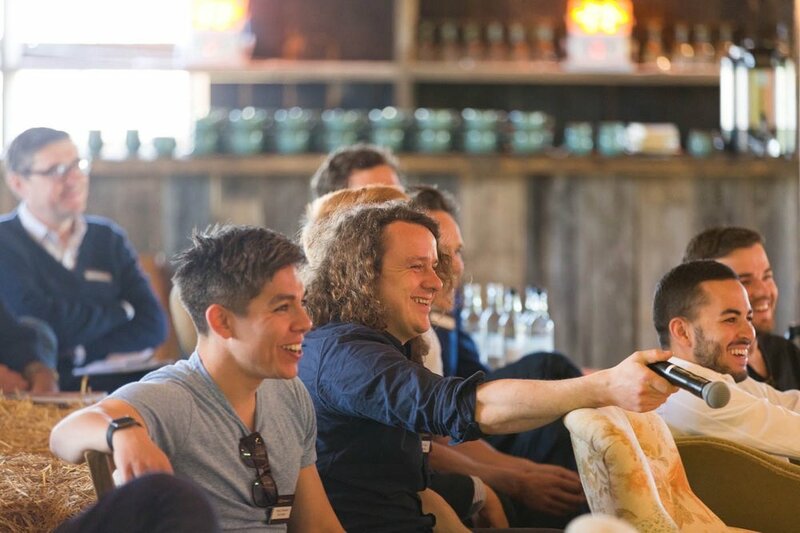 Not wanting to forget some favourite moments, below is a snapshot of the CEO Collective from Chicheley Hall in 2014, and when we took over Soho Farmhouse in 2016. Artesian is a customer intelligence software solution that provides contextual, relevant insight into companies and their markets. 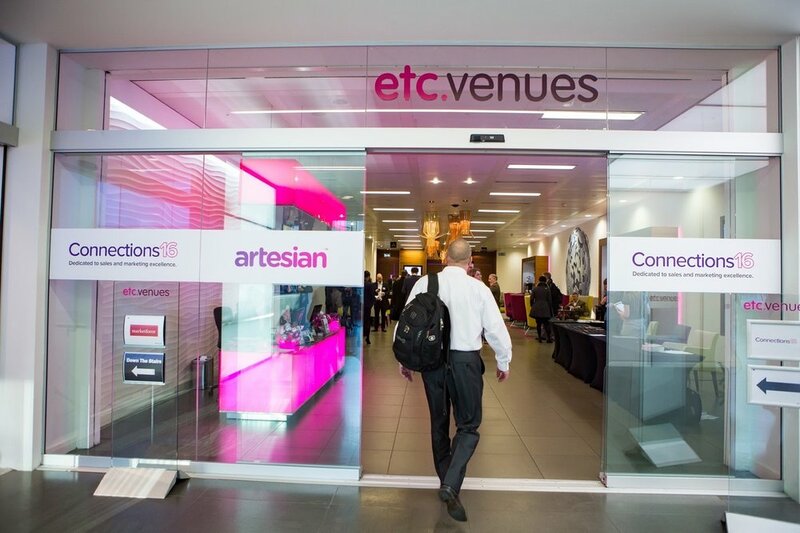 Forgather partnered with Artesian to help them grow Connections, their B2B sales and marketing conference. The ambition was to attract new customers and prospects, and position the conference as the leading event dedicated to sales and marketing excellence. 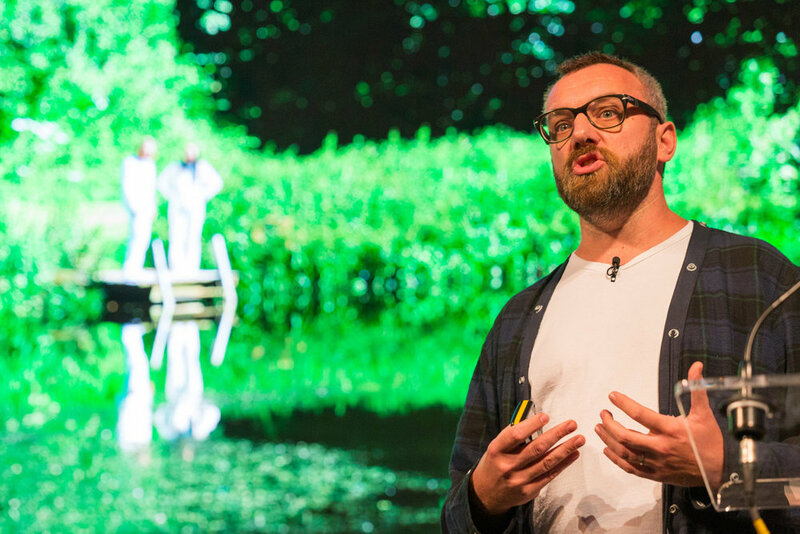 To date we have been retained to run two annual Connections conferences, providing a wrap around project management service - tackling everything from speaker recruitment to onsite production. Delivering an 86% turnout on registrations. Unheard of in London. Achieving great customer satisfaction with 95% of guests saying they would recommend the event to their colleagues. 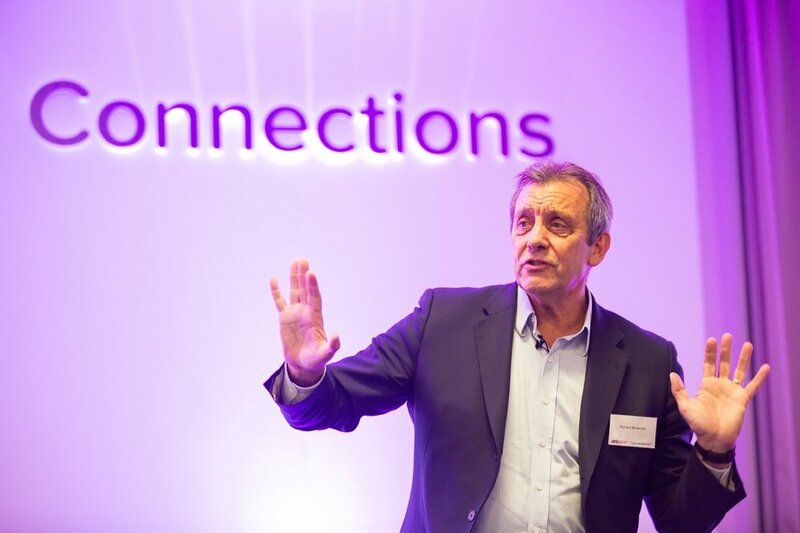 Securing a range of stellar speakers to inspire and challenge traditional thinking - from GB cycling team psychiatrist Professor Steve Peters, to Scotland Yard hostage negotiator Richard Mullender. 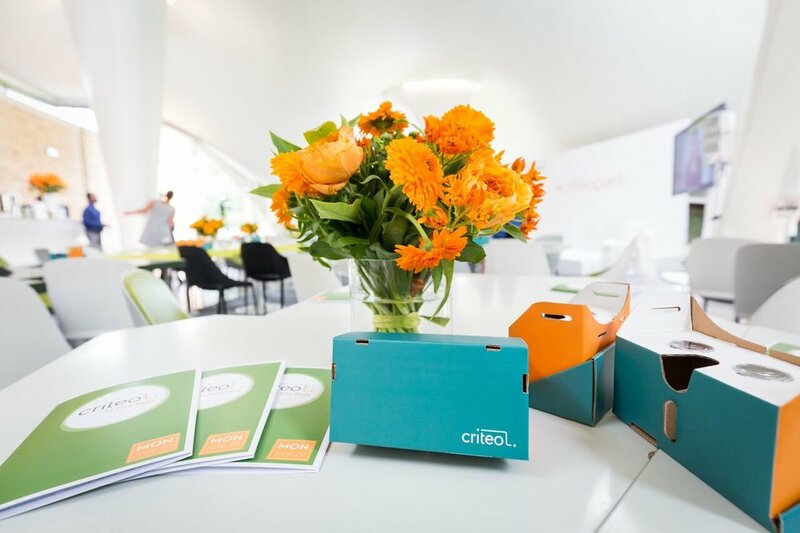 The brief: A summer event for 100 digital marketing / eCommerce contacts in Criteo’s Retail and Travel client base, which would combine marketing insight and some summer fun. 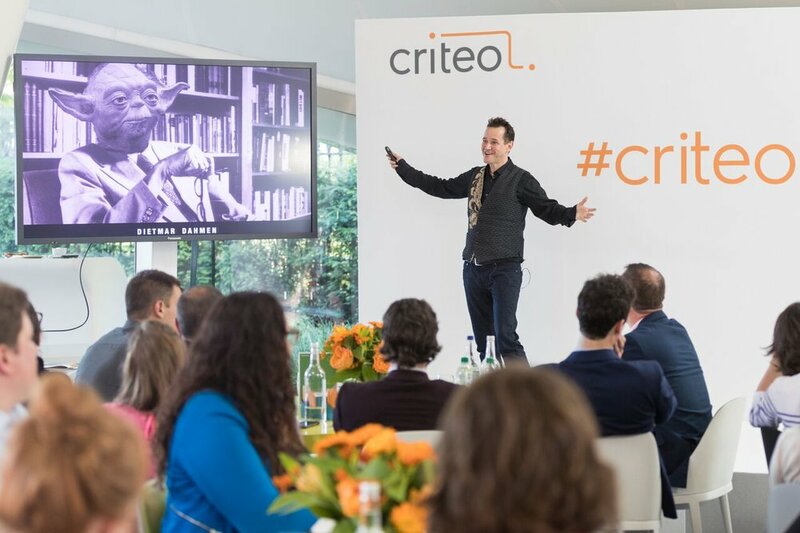 Criteo is the global leader in performance advertising. 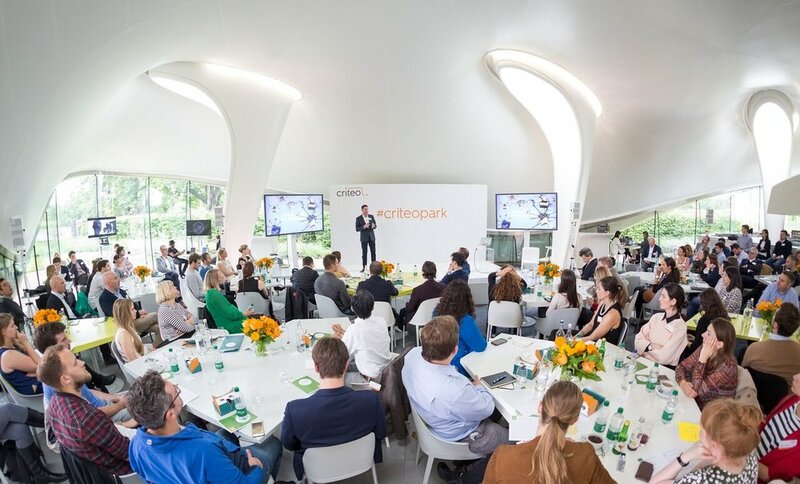 Our solution: A hands-on challenging view of the future of customer experience held at the glorious, Zaha Hadid-designed Magazine Restaurant in Kensington Gardens with keynotes from Wired Editor, David Rowan, and German futurist, Dietmar Dahmen. Coupled with a gallery of immersive installations demonstrating Virtual Reality, AI and delivery robots in real world applications. Powering an event of full-on participation: with Google glasses for all, and voting on future trends via our favourite event app Glisser. Curating the cream of the latest customer experience from digital showrooms and shop floors made by Imagination, Inition, Holition, Starship, Digital Genius and Village. Pedalo racing on the Serpentine in the summer sunshine wth Forgather (the next generation) providing the pedaling power. Breaking the cardinal rule and holding the event on a Monday, and getting a full house.